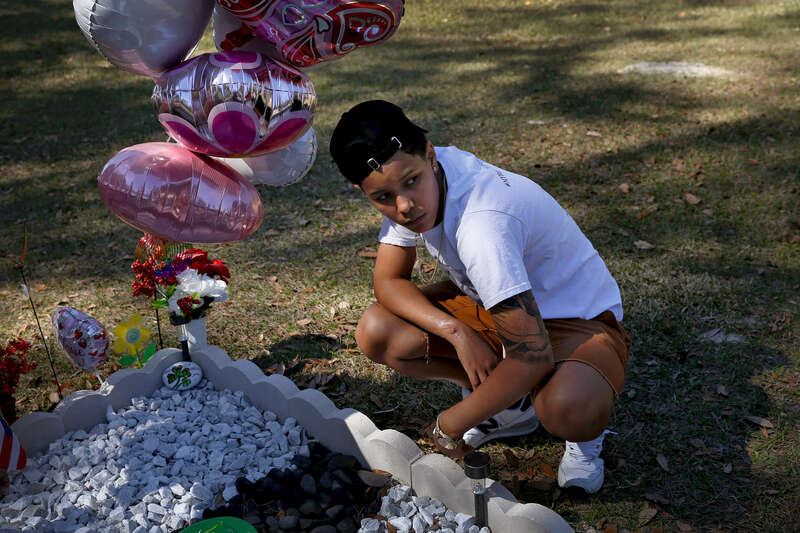 Kaliesha Andino, 19, visits the grave of her friend Omar eight months after the Pulse shooting in Orlando, Fla., on Sunday, February 12, 2017. Luis Omar Ocasio-Capo was 20 when he was killed during the shooting. They had been friends since middle school.